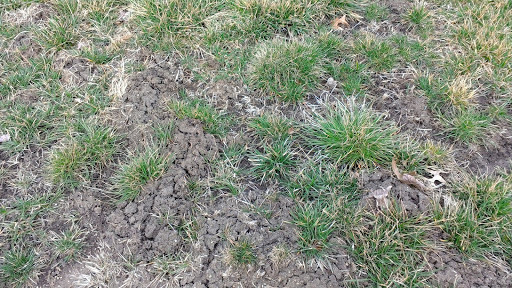 Problem Pest: Moles | Bowman's Pro Turf, LLC. Moles are some of the most destructive pests that we see on a daily basis. Recently, we have received more phone calls than normal regarding mole treatments and what solutions we have for this issue. Below are some common questions and answers about moles. All of this information can be found through Purdue University and has research to back it up. If I have moles that means I have grubs! No. This is simply not the case. 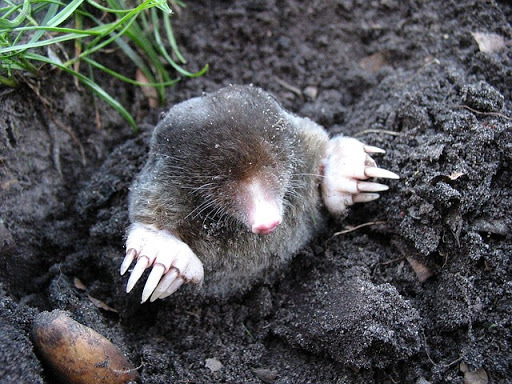 Moles primarily eat earth worms. If you do have grubs, they will also eat the grubs. We have been asked to preform grub treatments on lawns to “get rid of the moles.” Because this is a huge misconception, we have not and will not ever claim that the grub treatment will get rid of moles. Getting rid of grubs will not get rid of moles. Spraying castor oil and soap on my lawn will prevent moles, right? Again, no. There is nothing on the market that has been scientifically proven to prevent moles. Spraying oils and soaps on your lawn will actually do more damage than good. Articles and DIY blogs instruct to soak the lawn so visible puddles are shown. These pictures show the oily rainbow slick produce by the “treatment.” Home remedy solutions to moles and other lawn care nuisances are often more toxic and harmful to the environment than products specifically designed for that use. If you want to waste time, money, and hurt the environment then go ahead and spray this oily solution all over your lawn. We do not recommend going this route, no matter what the DIY bloggers say. Chewing gum, beans, and bombs! No, no and NO! These remedies simply do not work. Many of the home remedy solutions involve a “Caddyshack” like approach to fix the issue. Almost all of these remedies are more harmful to humans than they are to moles. You guessed it…no! Traps have been our most reliable form of mole control. With the proper placement and trap, moles stand little chance. The more traps that are properly set, the more likely the moles will be caught and eliminated. Many consumers believe that traps are just like snake oil and do not work. Traps need to be well maintained and placed in areas where moles are active. If nothing is caught, move the trap! We recommend and provide 2 treatment options for moles. Mole Bait-The mole bait that we use looks like earth worms. When applied correctly, the moles will eat the bait and be eliminated. Mole Traps- The mole traps that we use are spring loaded and all underground. We recommend moving the traps ever few days having several traps in the infested area. Remember, there is nothing on the market that will ever prevent mole families from moving into your lawn. As research has shown, the most effective and reliable method is trapping. Always read and follow all labeled instructions when using traps or bait. If you are unsure, call a professional like us. We can provide these treatments and get your on the right track to finding a solution to manage this issue! You can read more about moles here! Make sure that you are getting your information from a credible source. Just because you hear multiple say the same thing does not make it right. Do your research like we have. Check multiple sources and see what experts say. There are individuals who spend years doing research on the environment. Be sure to follow us on Facebook, Twitter, and Instagram. Head over to our website to find our more information about our company and the services we offer. ← Emerald Ash Borer Alert!